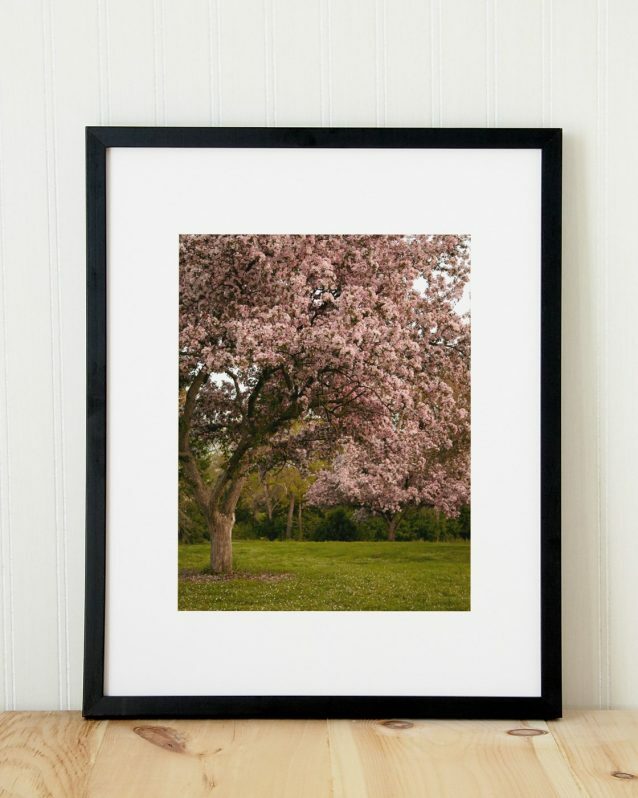 Add a dose of magic and fantasy to your home with this pink flower tree photography. 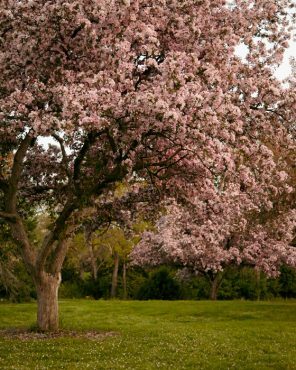 Just like a scene from a fairy tale this blossom covered spring crabapple tree brings happiness to everyone near it. Magic Garden will inspire cheerfulness and allure in any room, but I particularly love it in a girl’s bedroom, feminine cottage, or shabby chic living room.